Black Friday is just around the corner. If you plan on shopping, then you need to be prepared. Otherwise, you might miss out on that amazing deal! Here are seven tips to help you get ready for the big day. Make sure to gather the information you need about all of the amazing deals. Don’t assume that a store is offering a special because it’s Black Friday. Instead, follow your favorite retailers on social media to find out what’s for grabs. You can also subscribe to their email updates. Write down all of the deals you are interested in, and rank them in terms of priority. This will help you know where to shop first. It’s a good idea to preview the stores before the big day. This way you can figure our where the products are located in the store. Most Black Friday deals sell out early – especially TVs. You will probably need to get up early – approximately 5am. Or, you might even want to shop when the stores open at midnight. Shop with everything you need, including your list, snacks, wallet, etc. If you are not prepared, you might miss out or give up. If you have a Visa or MasterCard, you might be able to get reimbursed for the price difference on a Black Friday deal if you shop ahead of time. Typically, you have to send them your receipt and a copy of the ad within 60 days. 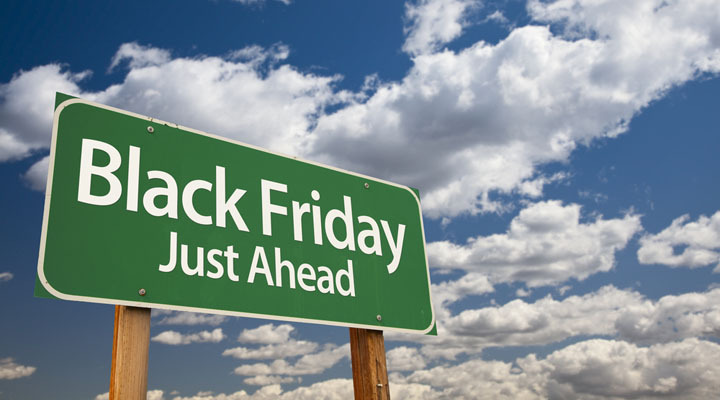 Many retailers have great deals online during Thanksgiving Day. If you want to avoid the crowds, this is a great way to still reap the savings on this popular shopping day. With these seven tips, you should be able to find what you are looking for on Black Friday. Even better, you will save money on your holiday shopping!